Multiple media outlets are reporting President Donald Trump will sign orders to temporarily stop most refugees from entering the U.S.
Trump is also expected to direct the Department of Homeland Security to start working on his promised border wall on the U.S.-Mexico border and increase the number of border patrol agents, according to officials in the administration. In Nogales, Mexico, there were mixed responses to Trump’s campaign rhetoric for a border and more deportations. While some were concerned about a potential loss of factory jobs from American companies under pressure to “bring jobs back” to the U.S., others are more concerned about Mexico’s own economic troubles, such as the declining peso and rising gas prices. Cuauhtémoc Galindo, the mayor of Nogales, Mexico, said he and other leaders in his party are worried about Trump’s future policies. “I’ve asked municipal governments to solicit the federal government to come up with a plan to receive mass quantities of people that could arrive to the border, and secondly, have a plan for these migrants to have employment opportunities,” Galindo said in Spanish, although he acknowledged there is no budget for such plans. Across the border lies Nogales, Arizona. Residents there said the community relies on business from Nogales, Mexico to keep their stores full, especially in the retail sector. People are hoping that Trump will boost staffing at the ports of entry. John Ladd, a fourth-generation cattle rancher who lives a few hours away, already has government fencing along the part of by the government on his ranch where the border meets his ranch. It’s currently being updated to a stronger, taller fence using funds from a Bush-era program. 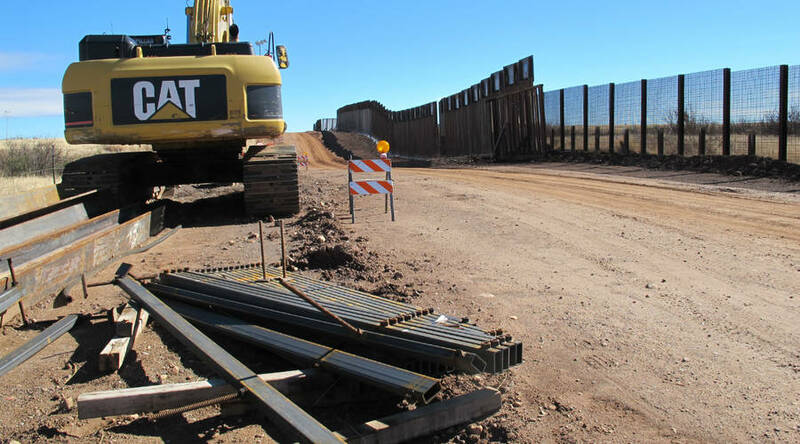 Ladd said these fortifications – which can cost millions of dollars per mile to build – don’t make much of a difference unless there are more patrols. According to Ladd, he loses about a third of the income of his ranch every year just repairing the damage done by drug smugglers cutting his fences and breaking water pipes as they cross into the U.S.
Kimberly Adams’ work on the border is supported by the International International Women’s Media Foundation Adelante reporting initiative.